Award-winning author, columnist, performer, bandleader, and clinician Daniel Glass offers students a comprehensive introduction to drums and percussion, from hand drums to digital kits, and everything in between. In this well-illustrated guide, Glass covers the history of the drum, tracing the development of the modern drum kit while also discussing hand, concert, marching, and electronic percussion. 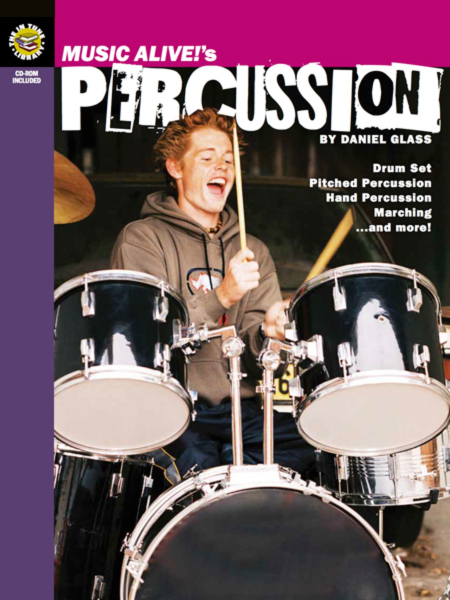 In addition to breaking down the equipment and accessories needed available to today’s young drummer, Glass offers notated lessons that explore basic rudiments as techniques used in classical, world, jazz, rock, and other genres. A noted historian as well as performer, Glass also profiles great drummers from the jazz age through today. The included DVD-ROM offers high-quality footage from Glass’ clinics and performances.